You can customise your link and website surveys so that it will match your website design better. To do so, go to “Design” section. Survey colour themes can be saved. 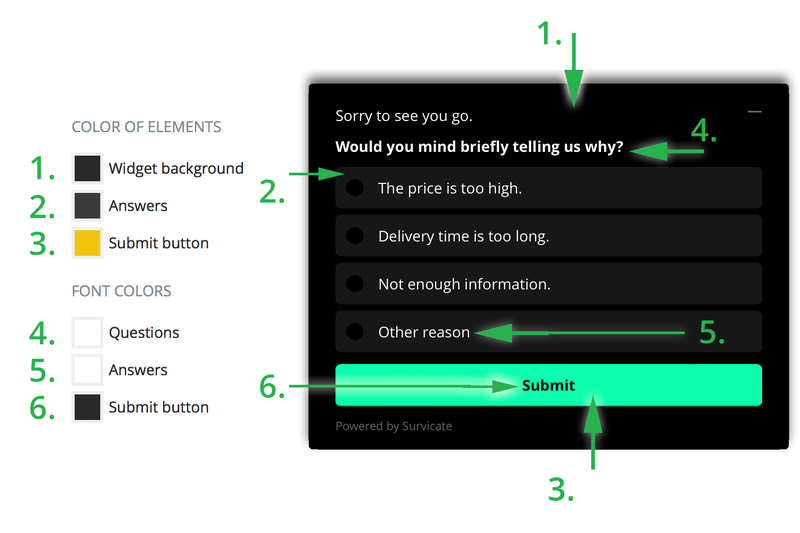 If you don’t want to customize any elements, you can choose our predefined survey color schemes. You can choose a light version, and a dark alternative – they are presented below. To select one of them click on Survey theme drop-down menu.